Carnegie Clean Energy reported earlier this week that they have secured $3 million in government funding to build a 2MW, 500 kWh Battery Energy Storage System (BESS) at the General Motors Holden site in Elizabeth, South Australia. The funding will come from the Renewable Technology Fund, part of the South Australian Government’s Energy Plan. The site will provide grid-support services during peak times and, according to Infrastructure Magazine, will operate in tandem with the existing diesel backup generators at Elizabeth. 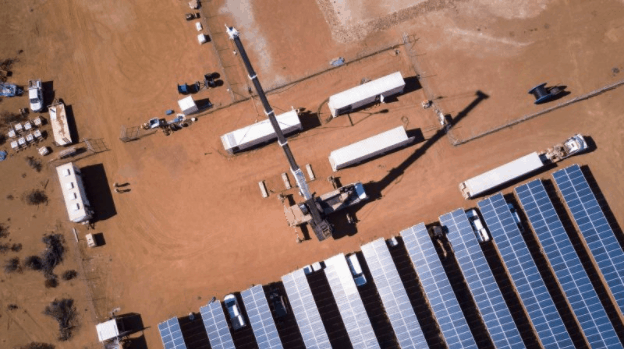 Premier of South Australia Jay Weatherill said “This solar and battery project by Carnegie is part of a wave of new investment in South Australia we have leveraged through the $150 million Renewable Technology Fund announced as part of our energy plan. “Renewable energy projects like this also reduce demand on the grid during peak times, which puts downward pressure on power prices for all South Australians. This project is symbolic of the broader transition we are seeing in our economy away from traditional manufacturing towards high-tech industries creating jobs of the future for South Australians” Weatherill added. “It’s a way of looking at what formerly would have been just a roof and turning it into an energy production asset,” he said in news.com.au. “Jobs are our number one priority and this solar battery project by Carnegie is part of a wave of new investment,” he said. There have been many exciting developments for South Australian solar over the past 12 months and it’s great to see them keep coming. The microgrid is expected to commence operation by December. 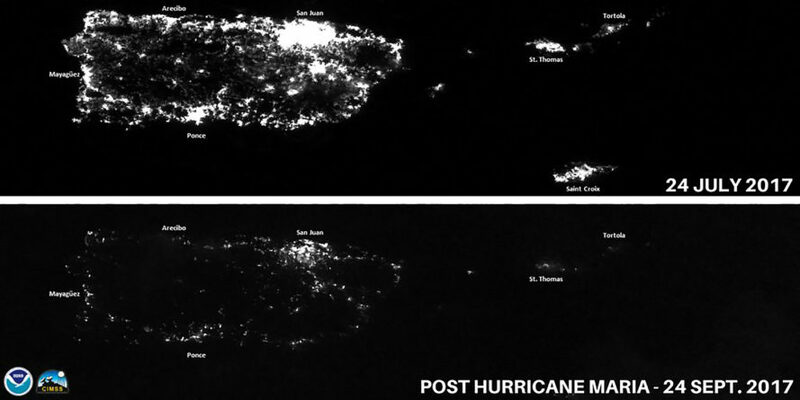 In the wake of Hurricane Maria’s landing on Puerto Rico on September 20, the country has been almost completely without power and a majority of the 3.4million residents aren’t able to use fridges, air conditioning, or pump potable water. Enter the possibility of a Microgrid in Puerto Rico – Elon Musk’s Tesla have offered their support to the country by sending hundreds of their Powerwall energy storage batteries – with many already on the ground and more to come. They’re initially being sent to high priority locations such as hospitals which are currently using expensive and hefty gas-powered generators. According to news sources such as Bloomberg and Engadget, Tesla is sending hundreds of the Powerwalls to Puerto Rico in an attempt to help shore up its shattered energy infrastructure. The Powerwalls will be paired with solar panels to generate energy while the country works on restoring its main grids. Some of the Powerwalls have already arrived in Puerto Rico and Tesla employees are on the ground assisting in the installation of required infrastructure. According to some sources, grid power won’t return to the entire island for another six months so they’re going to have to look at some options – which may include the full scale renewables – with small grids far more resilient than transmission lines and central grids. These microgrids could be connected to a central grid but also isolated if required. After the initial Powerwalls being sent, there have been others talking about the much larger, industrial-size Tesla Powerpack grid scale storage solution and whether this could be an option for the commonwealth moving forwards. Clean Technica report that the island’s utility company, PREPA (Puerto Rico Electric Power Authority), has a massive $9 billion USD in debt to Wall Street and Puerto Rico itself is in debt to the tune of $123 billion (and $74b of them are in defaulted bonds currently in bankruptcy court). In short, the country is in serious financial strife and its grid is virtually worthless. Ricardo Ramos, the CE of PREPA, told CNN the island’s power infrastructure had been basically “destroyed”. There’s a possibility of just handing the grid over to its creditors and ‘start again’ – and this could perhaps be the impetus for Tesla to create microgrids across the country with its Powerpack batteries (they scale from 50kW up to 100MWh) – certainly a herculean task but who other than Elon Musk would take something like this on? Musk’s team are currently installing Tesla Powerpacks in South Australia under less critical circumstances but it’ll be an interesting litmus test to see if Tesla could roll something out on such a massive scale. 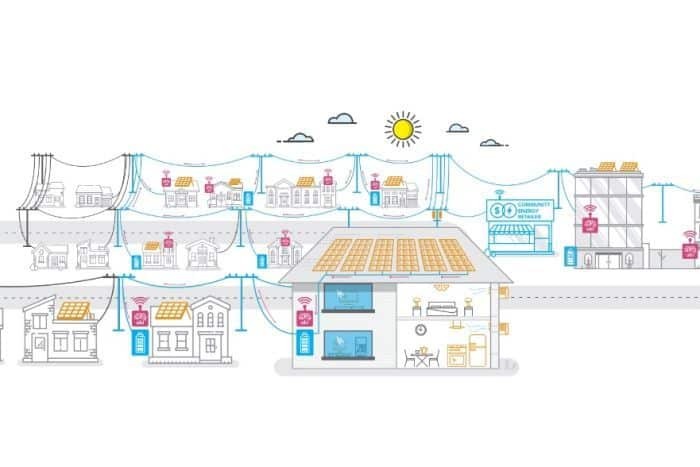 Earlier this year we reported about LO3 energy setting up Park Slope in Brooklyn with a Solar microgrid, using blockchain technology – and now they are bringing this project to South Australia under the name of TransActive Grid. Solar Microgrid – how does it work? LO3 Energy (who set up business in Australia last year after success in the US), will be partnering with Yates Electrical Services to offer up to 6MW of ‘distributed soar generation’ via blockchain technology – effectively taking a big step towards a full-scale transactive energy market independent of the current grid – one where consumers are able to set the price they’re willing to pay for renewable energy, rather than being ‘stuck’ to the current grid system. This is all underpinned by the blockchain – which allows a decentralised, secure, p2p marketplace to function. If you want more technical details there’s a great paper on the MIT website entitled ‘Blockchain Applications to Solar Panel Energy: Landscape Analysis’. Belinda Kinkead, director of LO3’s Australian operations, was quoted on the Yates Facebook page as saying: “This is a significant agreement and shows there is great interest in the concept of putting energy choice in the hands of consumers.” Yates say that the project has the potential to open up over 1,000 residences and businesses in South Australia (in the Riverlands) to operate on the LO3 microgrid. With the rapidly rising cost of electricity and huge increases in both blockchain and renewable technology over the past few years, it’ll be exciting to see how this test goes and how much LO3 are able to grow it over the coming years. Some interesting news out of Brooklyn this week as a group of residents and local businesses have banded together to create their own ‘microgrid’ – powered by the exciting new technology known as the blockchain. Siemens Digital Grid Division have set up the Park Slope area of Brooklyn with a full physical microgrid which includes battery storage, converters, control systems, and smart meters. The microgrid involves decentralised distributed energy generation and is able to exist and function completely outside the conventional regional power grid. Theoretically this could work for entire cities who would be able to use their own energy for residents, and even make money by selling it back to the central grid if required. Administration is also quite simple (this is a bit of a relative term but when you consider the inherent challenges of such a system it is a very neat fit) – this microgrid technology is powered by the cheap to run and impossible to forge Blockchain – which is also used for decentralised currencies such as Bitcoin. The Park Slope blockchain platform has been set up and is being managed by LO3 Energy. LO3 Energy will be using the blockchain to run what they call a “TransActive Grid” – which ensures each energy transaction is securely timestamped. This allows every movement of energy, however small, to be securely documented and applied to the correct account. The energy will be purchasable under an auction agreement where one of the ~50 homeowners/businesses are able to set a maximum price per kWh and receive energy accordingly. Lithium Ion energy storage will back up the microgrid in situations where there isn’t enough power being generated. In the event of no energy storage being available they are also connected to the main energy grid where they’re able to feed and receive power at general rates. The Park Slope project’s goal is to have 1,000 participants by next year – with a commensurate increase in the amount of battery storage and solar PV systems. LO3 Energy were quoted as saying they hope to make it possible “to establish a self-sufficient power supply for the microgrid in the event of a city-wide blackout’. It’ll be interesting to see how much power they’re able to generate, how much the average price per kWh ends up being, how much they still need to buy from the grid (or how much they make selling excess back in peak times). There are lots of variables which will help us see how viable this is with the current cost of PV solar and energy storage, and how well it will complement the existing grid.